I am Elizabeth Powell, Steemit, Inc.’s Managing Director. I have met many of you at TokenFest Boston, SteemFest 3 and various other Steem Meetups, but obviously with today’s big announcement, the time has come to formally introduce myself. As some know, I have been Head of Communications & Advocacy since May 2018. During that time, I built a strong communications team that was really starting to make major improvements in how we communicated to the world. We updated steemit.com and Steem brand guidelines, re-launched steem.com (yes, more improvements coming! ), developed a social media/PR/events program, and just overall increased our comms efforts and visibility. Our goal during that time was to better differentiate Steemit, Inc., steemit.com and Steem. We were heavily focused on promoting app development on Steem, as well as attract more entrepreneurs, exchanges, etc. Add to the mix some new product R&D, the livestream, and that gets you pretty caught up on what we were doing behind the scenes. Some very tough decisions were made after Thanksgiving as the company needed to realign its business goals. That included very little to no communications for several weeks as next steps were being determined. Ned and the Board developed a new roadmap, we presented internally and immediately got to work on cost-cutting initiatives and building an advertising program for steemit.com. So what is my role? We recently published our updated Mission, Vision and Values (https://steemit.com/about.html), as well as its roadmap focusing on increasing ad revenues, protecting STEEM assets’ value and cost reductions. My job is to execute the roadmap. In the coming weeks you can expect more communication from me and the team. From more blog posts to joining in the various Discord channels to keep the community informed of our progress. I am working alongside Ned, the Board of Directors and 12 amazing team members and am confident in our future success. I grew up in the heart of Texas, in fact, have lived within a 90 mile radius of where I was born, attended college and built my 20+ year career. After graduating from Texas A&M University with a degree in journalism, I began my marketing and advertising journey in Austin, when it was a laid-back college town. The majority of my career has been working at advertising agencies in account management, to most recently leading new business teams. Over the years I have touched many categories, including: retail, healthcare, technology, performing arts, education, oil and gas, and many non-profits. 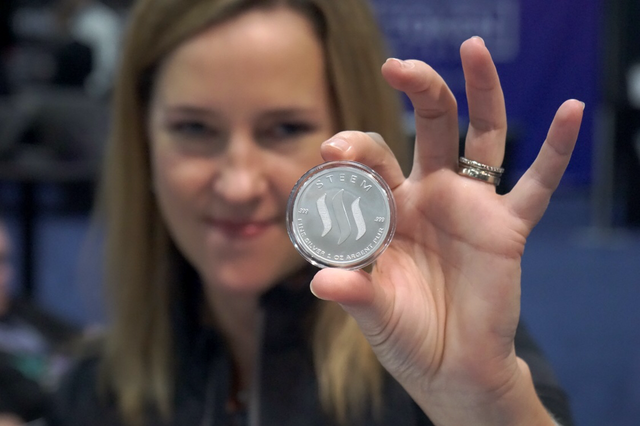 My ability to learn new industries and products is what led me to Steemit, Inc. Intrigued by cryptocurrency, mixed with being at the right place at the right time, I joined the company to successfully position and promote adoption of steemit.com and the Steem blockchain. What motivates me? Building and nurturing a strong, honest team, creating success and fostering a community that share the same values. I look forward to the future of Steemit and getting to know more of this amazing community. Thank you for reading and for your continued support! I've had a few interactions with you and thought they've gone well. You have a really tough job on your hands. One I don't envy, but I look forward to working with you to help make Steem grow! please just tell me why these people refuse to use the platform at all and then get so much credit? I think you know what I mean by "these people." Time and persistence and people like us, @aggroed . . . if we all do a little, we'll all do a lot! Great to get to know you some here as many of us didn't attend Steemfest or other meetups. Hoping we'll hear a lot more from you, both on the personal and the professional front. What do you feel will be your biggest challenges executing the current roadmap? Will you be taking on the responsibility for overseeing the management of Steemit Inc's (powered down) funds, holdings, accounts and property? Do you think you can touch on what management approach you're planning to use to bridge the communication and collaboration gap between Steemit Inc and witnesses/developers? Lastly, will you be re-evaluating the current Steemit Inc's budget/overall plan in terms of the priorities that are set for marketing, exchange listing, and general promotion of the tokens? Good set of questions. Waiting for the answers too. One would hope some of the ninja mined can be delegated to her...just enough to make few comments a day. . Thanks for questions. I answered these yesterday during the State of Steem weekly show. great to see your introduction post. hope nothing but the best for you and the road ahead. I think the lack of steem is marketing. I want it to be resolved through you. Thank you very much. New CEO. Nice to see this post , can you give a definitive statement on samsung-steemit rumors ? Is Steemit inc currently in talks ( or has in recent past) with Samsung about acquisition of STINC assets ( partial or full) ? Wishing you all the success in the world! And yes, that's a little self motivated, since your success is our success. Cheers! (and yes, I'm toasting with wine ;)) Also, in ATX. This is such good news to me. Welcome aboard I'm excited to see where you take us. I wish you much energy and success (which at the same time would mean success for the whole community)! In the sense of transparency I really would like to know the STEEM user names of the 12 remaining team members. Who is actually still working for Steemit, Inc.? And, who are the members of the Board of Directors? Congrats! Hope to hear from you more often. Ned was not particularly good at comminicating - and I hope that you would do much better job. Very excited. Great background here. I am very happy to hear you're from Texas and went to A&M. Huge fan of that school. I want someone who is profit motivated and can bring in revenues. This is EXACTLY what we need. Thank you! Happy to be here on the ride with you. This is super bullish. As Steemit, Inc.’s Managing Director , I suggest you should interact with The Community of Steemit. If you do not have enough Steem Power , I suggest you Request from Ned this Power. Being an appointed Managing Director , You must have Power of Influence? edited : with Ned powering down , I don't think he will be encouraging his Team members to do Powering Up?? Even though Steemit do have over 34 Mil Steem ; all now headed towards the Exchanges Doorway??? waiting for cashing out??? Who is Leading the Pack? If Steem Products are good , Why All this Powering Down? This shows the Original Person who created this is Very Uncertain of it Own very Products. Later wants to create more Tokens? SMT ? I believe. Why creating so many types of coins / Tokens ??? To confusing people more ??? I leave this to you guys to think about it. Thank you for introducing yourself more formally. I hope that you can improve the focus at Steemit not only on communication, but also on completing initiatives that add value for the community. so yeah if you could just become a daily user and dedicate at least 30 mins a day to posting everyday, yeah thatd be great! Congratulation for your promotion @elipowell. However, I am quite dubious about your communication skills given the few interactions with the community that I can see (1 post - this one - and 8 comments) since May 2018. Not to mention your lack of personal financial investment in a project that you claim to advocate ($0.72 wallet value with 1.730 of the 1.741 liquid STEEM you own that were given by @steemitboard thanks to the scans made when we met at SteemFest³). I wish you (us) all the best but I'm afraid there will be no mercy! I really hope we will be positively surprised. The future will tell. I think steem inc will be delegating some s.p to her soon (not sure). Even if she has some s.p I doubt she'll have that time and energy to curate contents. All the same lets just wait and see, good things do take time. Congrats Elizabeth! I hope Steemit and Korean community are having closer relationship under your leadership! Agree, @clayop. Let's chat soon! Lovely introduction! I'm sure there will be plenty of questions from a curious community^^. Looking forward to hearing you on Discord and reading more frequent updates! I think the only tip I want to leave is that whenever there is uncertainty about what the community wants, don't think until you believe you have the perfect answer but instead just ask. We all want you to succeed! Good to see you're responsible for executing the roadmap, I'm looking forward to see it come 'alive' step by step. Looking forward to seeing your communications. I had fun reading your introductory post. 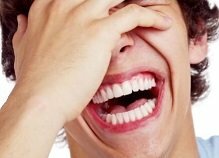 I hope you are approachable just like you post speaks. I pray you succeed in everything you highlighted for steemit. We hope to see positive changes soon and our precious Steem back on top. Welcome Ee-lie and God bless you. We welcome you from Africa. Sending peace and light your way. Great to see your post! I didn't meet you at Steemfest unfortunately. It is a good thing to see some positive news here, after a lot of rumors and speculation. I wish you all the best. It won't be an easy task for you, but I am positive that things will change for the better. Congratulations on your appointment, I look forward to feeling the effects of your creativity and enthusiasm. Welcome and wish you lots of success and luck on your new position at Steemit, Inc. I am looking forward to great communication from you to the whole community! Congratulations and best of luck! We have big hopes for you! It is key that you lead by example, so a minimum personal investment in terms of powering up your account is required for your credibility! As many commented already it is hard to understand that a Head of Communications & Advocacy did not post, comment or power up his own account for months. I also would have thought that all these would be part of such a job role. So please let the facts speak to rebut those concerns! Rooting for you to succeed, for all of us. Congratulations on the new appointment @elipowell , we in #teammalaysia looks forward in nurturing the growth of of the STEEM blockchain. I look forward to seeing you take charge in your new role, your future updates and community interaction. Cheers! Welcome @elipowell, if you have question about your job, ask the steem community and @askanything will upvote your question. @askanything upvote questions using the tag # asa. Oh wow you speak, and steemit has a voice, will you all now take away bidbots? Stop cleaning this place out of money with alpha and freedom accounts, both created 31st march 2016, and release the witnesses with your buddies being in the top 20 already? Blocktrades anyone? I know who they all are, you should do your due diligence too. Whilst you are at it, and whilst I am asking, get rid of downvotes too, we all know it tops up the reward pool for the top earners,! want some charts? Bidbots are private property you cant "do" anything about them..... people like u proibly think steemit icn can just outlaw them which is just nonesense... just stop... bidbots allow steem to create passive income opportunities and when steem price goes back up setting up a bid bot becomes a way to make money for investors and brings more money to steem.... this "outflow" is really steem going to markets and being sold to others who want it, distributing it.... large account holders are almost liek faucets .,.. steem has a set inflation rate... u cant have there e too much steem leaving teh system or whatever ur irrational fear is! Would removing upvoting bots even be possible? I think the only way of getting rid of them is contacting tax authorities and complaining about owner of those accounts. After all every single penny they are receiving is 100% profit. Which they should pay tax from. That could force them to rethink they actions. Can always rely on you to get to the point , matey! Both of these revenue sources–capital gains from currency sales and advertising revenue–are valuable to our sustainability. This being the case, then bidbots and down voting are both financial manipulation actions. Hey, wrong post for that, maybe your still thinking "Gillette" ? LOL. ....I know, I was just going to ask him for those big furry slippers. Though buy buying it, you line stincs pockets. No engagement amongst all of these comments for the new regime at steemit.inc. I think the problem is Resource Credits. This account needs more Steem Power. I think a handful of comments will completely drain it. As the new managing director, how would one go about contacting you formally? I'm in touch with a huge exchange and crypto card provider (Wirex) who have outlined clear and achievable requirements for a listing. As an individual and not the legal entity in charge of steem I am in no place to take it further any forward. And would like to pass on the responsibility to Steemit Inc. Looking forward to talking in more detail. Why not @shookriya? I think it would be quite interesting to have a mermaid on board. Hah. Mermaids are cool. I was thinking more along the lines of lizard overlords. Hope to see better communication between inc and the community in the future. A Managing Director is a CEO right? You need to purchase and power up more steem to show your commitment to the project. WRITE A POST EVERY DAY! Do you understand? EVERY DAY! Seriously... steemit is not that hard to use is it? Congratulations on earning a new (and essential) position here. I am rooting for you to succeed. Part of that is because I am simply a fan of people being happy and fulfilled. Another part of my desire to see you succeed is that if you succeed... we all succeed. I care deeply about the creative, talented and dedicated people in this community. I hope that your efforts bear fruit for you, steemit, and the people who have worked so hard to try and create thriving communities and engaging content. There are a lot of very good people here who can dramatically change their lives for the better if steem and steemit reach their full potential. I wish you the best in making that a reality. I'm looking forward to the coming weeks. Nice to "meet" you @elipowell, and welcome to the helm of the Nuthouse! Right now, you have a pretty "blank slate" and a dodgy reputation left behind from earlier times... but YOU have a blank slate, and have the power to do something with that. If I were in your shoes (which I am NOT, obviously!) I'd start with throwing some $$$ of my own at an investment in some SteemPower/Resource Credits in your account; I think it would mean a lot to this increasingly skeptical community to see that the new Captain of the Ship actually has "skin in the game," as the saying goes. Your CV (yes, I checked your LinkedIn) suggests you know the value of communication, and there's no place you will need that skill set more than here. This community does not suffer "silence" well... and, at the same time, the community can be your greatest resource, because there are literally thousands of people here who genuinely care about the well-being of this project. 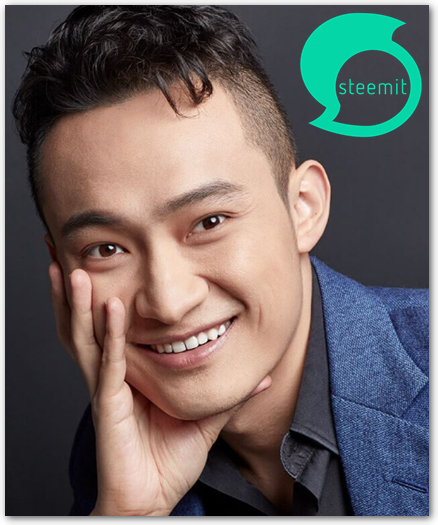 @elipowell, Please be the "Justin Sun" of Steemit. Steem desperately needs a public face to advocate and promote this technology. Please be active on Twitter as well. Also, what is your twitter handle? LOL This is a challenge, good luck Eli! Yeah, I was just wondering about him. Did Ned and Justin 'talk' like they said they would on twitter a couple of weeks ago? (it was when Justin asked people to tell him their favorite/best platform. Congratulations on becoming Steemit Inc's Managing Director. I think it is time to really show the world what great things we have happening on Steem as well as the great things we will doing. My biggest concern so far has been communication. Steemit Inc communication with the Steem community has improved quite a bit. However, I still feel communication to the outside world is lacking. I think people don't know Steem exists or have been misinformed regarding what Steem is actually about in regards to the opportunities for investors as well as casual viewers of content. I think having advertising on Steemit.com is a great idea but for it to be very successful, it is important to get as many eyes on Steemit and Steem(it) content as possible. I would say this needs both newcomers as well as existing users of Steem. I fear we have too many users opting not to engage with the Steem community. I don't mean to bombard as you arrive. I just wanted to express some concerns/observations I have made. It's all looking up! Can't wait to see what's in store! No matter how negative the feedback gets--and it will get negative--keep communicating. If you leave an empty space, someone will fill it for you. If there is silence, people will fill the vacuum with their own ideas. Rumor grows in the absence of information. Keep us informed, even if you think you have nothing to say. Grow a really thick skin. This is a free speech zone and people will say what they think. There's a lot of dis-ease and suspicion now. If you become the voice of Steemit, then you become the target. Don't take it personally, even when it becomes personal. Nobody knows you...they know your role, your title, and some will try to get under your skin to elicit a reaction. This effort comes mostly from frustration. A lot of people depend on this platform, not just for social interaction but for financial support. That's a tremendous responsibility. I hope you keep those individuals in mind, that you have a sense of social as well as corporate responsibility, as you go forward. I didn’t get the chance to bump into you in Kraków. But I’m glad to see @steemit is finally making changes. Hopefully the roadmap will be more clear with you in charge. The communication from Steemit Inc. has been horrendous. Best of luck on your journey in your new position. We are all rooting for you to succeed. Best of luck, Ee-lie! I joined this platform to find that a lot of people have little faith in Steemit Inc, myself included. Understandably. I hope that with time, you will prove us wrong by being the best you can be at your new position. Congratulations once again, i wish you all the best! Welcome, and best of luck to you. I hope you don't waste your time trying to become a blogger here just because so many don't understand business one whit. You've had the right focus on building external relationships for STEEM. I'm glad that a chief goal now is coin price support. It may be worth delegating the task of blogging on behalf of your account to someone with less valuable time. Or just making it clear point blank that your job as Managing Director is not blogging, but that someone on your team is going to maintain a blog for the Communications dept. for internal STEEM communications. Yeah. I agree with @indigoocean. @elipowell please focus on the very relevant things. Congrats I would like to see more community members on the team as well that said an outsider view is needed as well welcome to the team. Hey there! Congratulations on the new responsibilities. You're a part of one of the best blockchains in the world. Lots of activity going on, with new communities and collaborations and engagement popping up all over the place. We're happy to support you. Do you have 30 seconds to spare? You should write a haiku for my contest -- the theme is kids. Thanks for the informative intro post, and congrats in your new position as Managing Director. Wishing you all the best, as you help Steemit rise to new heights! Congratulations on your appointment! We're excited to see the changes you bring to this cryptocurrency project. As you are already aware, your appointment comes at a pivotal time within the Steem Community. All the best in your new role in Steemit. Inc! I wish you luck and success! Thanks for the great intro. Following with interest! I pulled hundreds of thousands of dollars out of steem because of bully flagging. 7 votes (owned mostly by one) were able to gray down my post that had over 200 upvotes. This needs to be addressed before I invest millions. Good luck and welcome aboard. Just review my blog, comments and wallet to learn. Come back to Steemit @Greenman.... you were doing so much good converting Steem to cash to give to poor all over the World. You were the best thing about Steemit. Thank you. You have always shared kind words. I am seriously thinking about it. I paused to allow for the steem community to fix the flagging wars (bugs), unfair weighting. I just reinvested and was the third largest investor of steem last week. I still believe in steemit. It may take me a few more months to get back at it - thanks for following! Well there are a lot worse. Maybe he should just creat 100 other accounts and Upvote his comments from there ? Like some other whales do. The guy was converting Steem to cash to distribute to the poor. I don’t see too many other whales here doing that. Welcome to this big family. Wish you all the best in your new job, @elipowell. best of luck. hope to see good in coming days. We are excited to see what new ideas you bring to the platform! Welcome to Steem (even though you joined almost a year ago)! Hello Elizabeth, that sounds like a good plan for the future. I wish you a lot of strength and persistence in implementing the new plans. All the best for you and your team! All the best with your new functions. Let's work to make Steem a widely adopted platform for all sorts of apps. Thank you for introducing yourself. You have a diverse career trail and I'm pleased to see my own passion of 'education' listed. Welcome to the blockchain and congratulations on your leadership position. Nice to meet you, dear. Expect many wonders in days to come... Because WE are Steem, not you. I'm sure you've got the skills, experience and guts to move Steem forward. Let me just sprinkle all that with wishing you luck to complement all that. Looking forward to great things Elizabeth! Best wishes. but you worked for the eeeeevil oil industry...that's a plus. communication would be a definite plus. I'll be watching with muted anxiety. Good luck in your new position! Thanks, ramengirl! Sorry I missed you at SF3. You should know that all of us here are genuinely interested and economically vested in the development of the platform. Steemit, with the help of Steem, carries so much potential to economically empower content and content providers. I personally adore the vision. Wishing you the best in all the activities that you have embarked upon. Cheers. Listened to the last SOS forum where Ned joined and cought your voice briefly too. Welcome! I think Steemit Inc has changed for the better since the last Thanksgiving. I hope you had something to do with this too. With new improved leadership roles, we expect more developments on the steem blockchain and marketing/promotional activities for steem. Welcome @elipowell we are here to work with you in our home blockchain, steem. Congratulations. Hope steemit will bring the powerful management and investor soon. Because I put my trust on steemit. Welcome to Steem elipowell! Partiko is officially the fastest and most popular mobile app for Steem. Unlike other Steem apps, we take 0% cut of your earnings! You can also be rewarded with Partiko Points while using Partiko and exchange Partiko Points for upvotes! Welcome to Steemit! This is a truly special place but I think you know that. I am looking forward to your stories! It's a big responsibility. Wish you all the best! Congrats, and great to hear! Hello Elizabeth and congratulations on the new role. I've worked in the IT industry my whole career and hae worked for 3 companies. One of the things I feel is important for a company to define is its core values. Sadly, not all companies define their core values. Seeing Steemit define theirs is definitely a step forward. Living out those values as you know is different. Cheers to a challenging 2019! Nice to 'meet' you!!! I'm glad to here there's a plan for the future!! Can't wait to see what you all have in store for us!! STEEM ON!! Congrats and good luck elipowell! Thank you very much, gardenlady! Wishing you the best of luck here Elizabeth. All of our success rides on it. Interested to see what you can help provide. We’ve been serevely lacking in many way and while I’m still a bit skeptical, hoping more more open communication and accessibility. See ya around! !